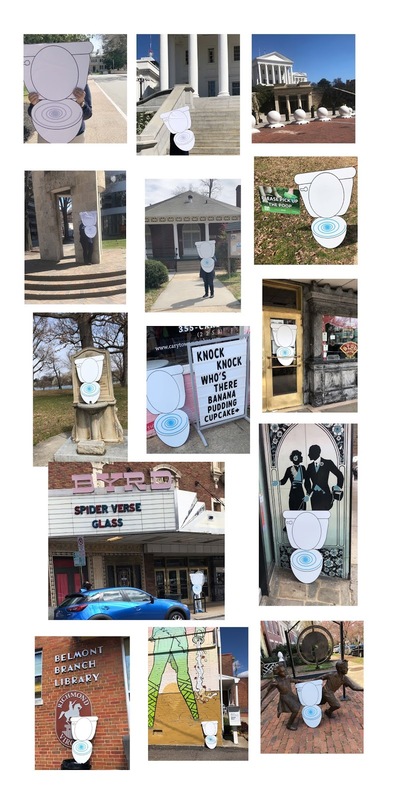 Richmond Mayor Levar Stoney is again supporting the Wyland Foundation Mayor's Challenge for Water Conservation this year, which encourages cities to take serious pledges to conserve water, energy and other natural resources. "As a community, we recognize the importance of sustaining and enhancing our environment through the protection and conservation of resources. In addition, we must continue to take steps to increase the city's energy resilience by reducing overall energy consumption through conservation, increased efficiency and renewable energy. This challenge serves as a reminder of the important roles we play in this mission," said Mayor Stoney. To accept this challenge, beginning April 1, visit www.mywaterpledge.com and select the ways you will conserve water. As part of the challenge, the city with the highest percentage of resident pledges in its population category will win! And individual residents are eligible to win hundreds of awesome prizes and to enter their favorite charity to win a Toyota Highlander Hybrid. 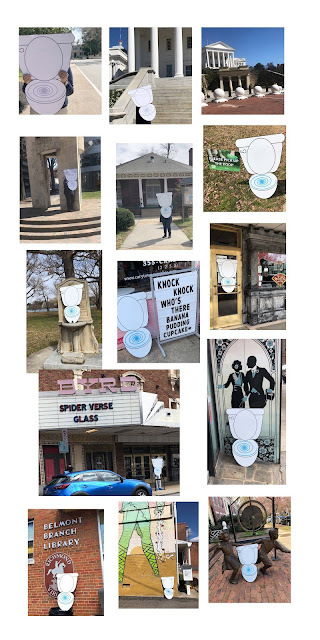 During Fix a Leak Week 2019, our Running Toilet ran around town and was finally stopped on Friday by a customer who recognized it. To fix your running toilets, put a few drops of food coloring in the toilet tank, wait 10 minutes, and if the water in your toilet bowl changes color, it's time to replace the flapper in the tank. There are many helpful videos on YouTube that will show you how to do that yourself, and a tank kit is inexpensive at any home improvement store. Also, check your faucets for any drips and replace the washers. Don't forget the faucets outside the house! To see all the clues, visit @UtilityBuddy on Twitter. The City is providing storm drain and roadway ditch improvements to the existing right-of-way drainage system serving the Cherry Gardens subdivision. Work includes installation of 900 linear feet of 15 inch, 18 inch and 24 inch storm sewer pipe, 13 drop inlets and manholes, ditch improvements, pavement restoration and related work. This area is in the Southside 8th Voter District in the Cherry Gardens neighborhood. Messer Contracting will soon begin mobilizing equipment to the project location and existing utilities will be marked (you will see color markings), followed by erosion and sediment controls and any necessary traffic control measures. The project is scheduled to begin approximately March 27, 2019 and be completed in July 2019, with final restoration work during August 2019. To improve storm sewer drainage within the right-of-way located in the Cherry Gardens neighborhood in order to reduce private property flooding. Will the project work impact my property? All of the project’s limits of disturbance are within the City’s right-of-way. Will the proposed drainage impact any of my utilities? It is not anticipated that the work will impact any property owner utilities within or outside of the work area. Excavation within the trench for installation of the new storm sewer pipe will require work to be carefully performed around existing underground cable, phone, fiber optic and natural gas utilities as well as aboveground power and communications utilities. Will this work impact traffic in the area? Work within the project corridor will impact access through streets located in the Cherry Gardens neighborhood, including but not limited to, Berry Street, Irvington Street, and Delano Street. Road closures may be required on these streets within the active area of construction. Work may also impact access to and from driveways that are within the active area of construction. Property owners will be provided 48-hour advance notification when access to and from their driveway to be limited or not accessible. Traffic control measures will be placed at appropriate locations to notify property owners and the general public of the work zones and any alley or road closures associated with the active construction zone. Will this work impact parking within the alleys? Parking will be impacted in the alleys within the active construction areas. The 48-hour advance notifications will identify these areas where alley parking will be impacted. What permits were needed for the project? A land disturbing permit will be issued prior to the beginning of actual construction as well as a work-in-streets permit. Both of these permits are issued by the City. The work will mainly be performed between the hours of 8 a.m. and 5 p.m., Monday through Friday. Although it is not anticipated, some construction tasks may need to be performed after-hours or on weekends. 8.How long will it take? The project is anticipated to be completed within 5 to 6 months. First, know what a cross bore is. It is where underground utility lines cross over each other. The reason you need to know this is sometimes in rare cases a natural gas pipeline might actually be run through a sewer pipe, and if a plumber unknowingly strikes a gas line while cutting through a sewer pipe for a repair, natural gas could enter the sewer system creating a very dangerous situation! For this reason, it's very important that everyone digging call 811 to have all utility lines clearly marked. Read all about what we did during the last fiscal year here. 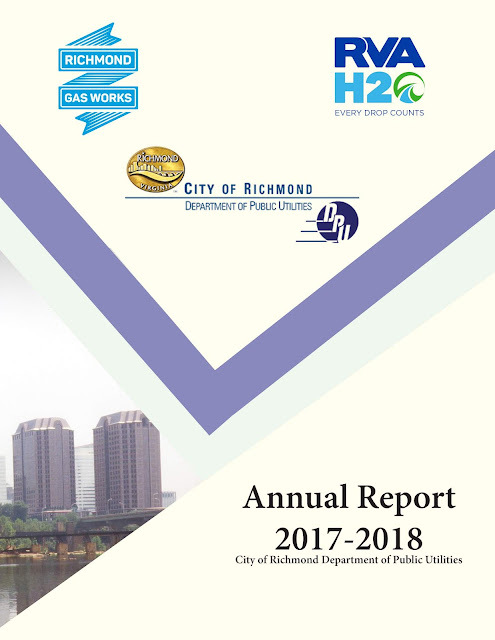 Is Richmond water hard or soft? Call 311 or 646-7000 for water, sewer, or natural gas emergencies 24 hours a day, seven days a week, 365 days a year. Email us with your comments here. Posted comments are moderated to eliminate spamming, commercial links, and obscenities.